The customer journey is a useful abstraction for thinking about how people get from awareness of our products to becoming real users. But abstractions aren't ultimately that meaningful. To really make improvements to your product, you need to talk to your users. Whether in-person, in-app, or through emailed surveys—take the time to check in with users and stay on top of what matters most to them. This two-way feedback is also one of the most powerful tools you can use to help people through the funnel and ultimately help them stick around to become a habitual user of your product. Let's look at how to use questions strategically to get the right kind of information from your users—the kind that's going to help you take action. At acquisition, users are thinking about what makes you different, so ask them about their needs. During onboarding, users are figuring out how to use your product, so ask them about how they currently use your product. At engagement, users are thinking about the different features you offer, so ask them about which features they find the most helpful. At retention, users are thinking about new ways to use your product, so ask them about what kinds of support they need from you. But don't overload users by constantly asking them questions. Try asking a few questions early on to gauge their initial experience with your product. Then, narrow the scope of your questions, and focus in on learning from your retained users. These are the folks who know your product the best and can help you improve it for all users. Without further ado, here are four specific questions to ask your users during their customer journey. 1. What goals do you want to meet by using this product? Even if you only have one product—or versions of the same product—people use it for different reasons. 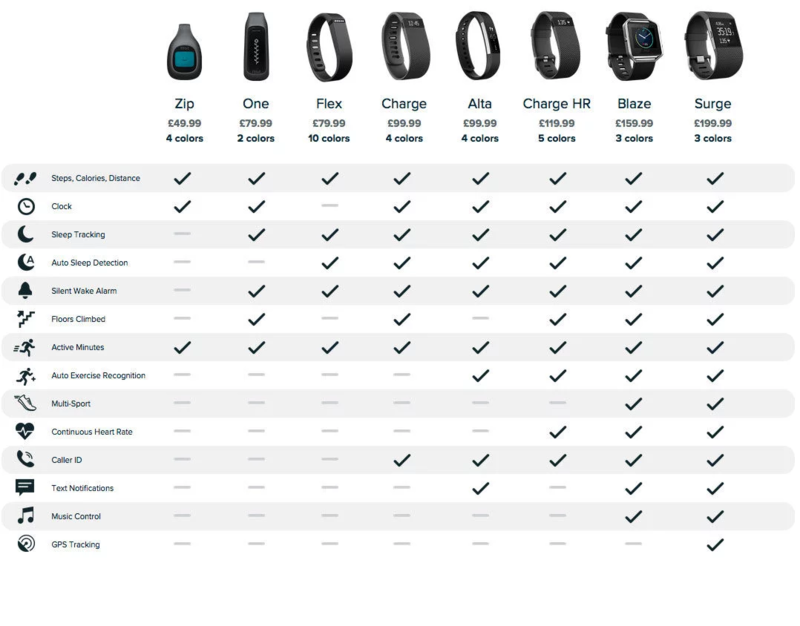 Take Fitbit, for example. They offer a fitness tracking device, but people also use it to track their sleep patterns or stay on top of incoming texts while they work out. Make the most of your user interviews to learn how people use your product and then to create buying personas based on the feedback. This way you can target each user group differently. So instead of a company like Fitbit sending everyone messages about the latest updates to the heart rate tracking feature, they only have to send this message to users who've said this is one of the main reasons they use the product. Why ask this question and when? Ask this question during acquisition, so you can use segment your users later on. Segmentation lets you focus on your more profitable segments. So, of your retained users, which ones use premium features or are more likely to spend more? Once you know who they are and what their goals are, cater to their needs to keep them coming back. Use your user feedback as a way to understand what your users want to accomplish and use the information to create strategies to keep them in the customer journey moving towards retention. 2. What drew you to this product? Why are you using it? You're building products based on customer needs. So as needs change, so should your product. Failing to do so means users eventually leave to find something that meets their evolved needs. The more you understand what users are trying to achieve and how they see your product helping, the better equipped you are to match your product to their needs. Mega-successful brands like Salesforce or Slack have made it this far because they evolve as user needs evolve. They have a hook—Salesforce explains that it's “your business' command centre in the form of a customer relationship platform (CRM)”—and evolve with this idea in mind. Ask this one during onboarding. At the core of this question is understanding what your users are trying to achieve and then building new products or enhancing current ones to meet these needs. By knowing what hooked your customers in the first place, you can lead with it in your marketing. For example, if you have a meditation app, your user interviews might reveal that users see your product as a way to mitigate stress during their morning commute. This is what drew them to you and why they keep using your product. So instead of marketing your app as the best yoga companion, you can focus on the fact the real experienced benefit of improving the morning commute. Retained customers tell you what hooked them and you can, in turn, use that to hook new customers and move them along your customer journey by reminding them of how you compare to other products. 3. How likely are you to recommend this product to a friend? Net Promoter Score (NPS) is a one-question survey that asks users how likely they are to recommend your product. This offers a goldmine of information for product managers because it tells you how happy current users are with your product. We recommend pairing it with follow up communication to dig deeper on why they specifically feel that way. Depending on how your users answer the NPS question, users are grouped into three main segments: detractors, passives, and promoters. Detractors are users who aren't happy with your product and are most likely to churn and use a competitor's product. Passives don't hate your product but they don't love it either. Given the right incentive, it's easy for competitors to lure them away from you. Promoters love your product and are the most likely to recommend it to their friends and family. This is a great question to ask retained users because they know your product better than any other users. Asking a new user if they'll recommend your product is a little like asking someone who's just started running to run a marathon. They don't have the experience to make the effort worth it. The results from new users will most likely skew your results to include uninformed feedback. We recommend asking this question in the engagement phase of the customer journey. If people are using your product regularly, it's important to understand what draws them to it. Is it the features, the processes, the user interface, or something else? Once you know what it is, you can tweak how you talk to customers to make specific benefits clearer. Let's say you have an app that helps keep users organized. After you've onboarded users and they've had a chance to use the product, send out an NPS survey asking them how likely they are to recommend your app to their family and friends. Also, ask why respondents feel the way they do. What's keeping detractors from enjoying your product. What passives need to see more of to choose your product over a competitor's. What promoters appreciate and love about your product. Use your findings to update processes, features, and anything else you need to get users to experience value as early as possible, turn them into promoters, and move them towards retention. 4. What's stopping you from using this product regularly? Mental models are a good way to dive deeper into topics to get a solid understanding of how things work. You can use these models to make decisions that will strengthen your relationship with your users and to make products that will attract and retain more users. One strategy to add to your user interview toolkit is the '5 Whys' mental model—developed by Sakichi Toyoda, the founder of Toyota. Instead of assuming why a problem is preventing user retention, keep asking ‘why’ to get to the root cause of the issue. By asking why more than once, you eventually get to the real reason behind the issue. When the real issue is clear, the solution to the problem becomes more specific and in line with what users need from you. This question is best in the retention phase of a customer journey. When you ask users to tell you the one thing stopping them from using your product regularly, they might say something like, the process is too complicated. 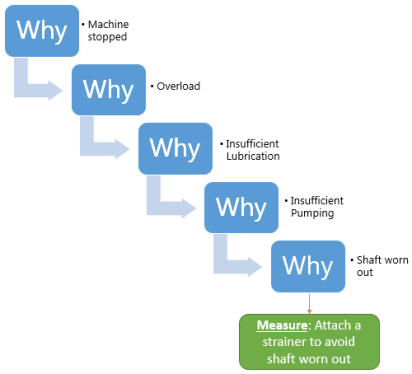 Use the ‘5 Whys’ to understand the issue and find the solution to the right problem. Instead of stopping at the first why and introducing an irrelevant solution—you dig deep to the root of what's causing users' pain points. In this example, the root issue is the fact that there was no user education after a redesign. The result is a frustrating experience, which negatively impacts user experience. By over communicating redesigns, the company in this example can maximize a user’s success. A better experience encourages users to get more engaged and retained in the long run. Just make sure to use this information to improve your product, or else all that hard work is for nothing.